Established in 2008, Hurama (formerly DreamViet), is a young and fast growing Vietnamese technology company. 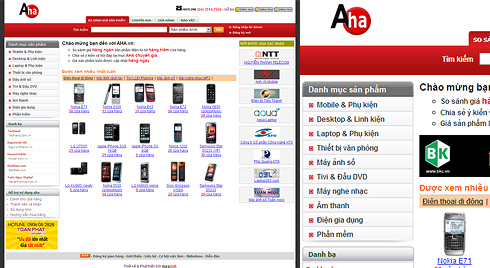 Their flagship offering is Aha, a leading comparison shopping site for Vietnamese consumers. Aha levels the playing field in Vietnam’s traditionally bargaining-based marketplace by providing consumers accurate and up-to-date prices, product reviews and merchant information. Both merchants and users benefit from inclusion on Aha through increased exposure and exclusive discounts. Hurama has also launched Denthan, a fast-growing B2C e-commerce portal for small and medium businesses featuring an efficient sales platform and company verification. The company’s founder and CEO, Nguyen Minh Hieu, was named one of Asia’s Best Entrepreneurs under 25 by BusinessWeek in 2006.